In fact there is a probing of the entire front-line from Krasniy Partizan in the south to the direction of Uglegorsk on the Svetlodarsk arc, creating a serious strain along the entire perimeter of Gorlovka’s defences. On the one hand, as reserves are moved up to Gorlovka, and with the concentration of the battle orders and active work on the enemy’s rear, the probability of a successful assault on the hills adjacent to Gorlovka has drastically decreased. However, on the other hand, if we assume that all this is a distraction with the aim of tying down the DPR reserves in fighting around Gorlovka, and that the main blow will be landed to the south of Donetsk, then the continuing activity of the UAF takes on a definite purpose, inspite of the rather heavy cost in terms of losses of manpower and materiel. If all this is nothing more than another local escalation, though, the costs may not compare favourably with the results achieved. Thus far, the UAF have been striving to demonstrate that they are preparing to move to more large-scale actions, timed to coincide with the World Cup in Russia. Materiel is actively being transferred to Volnovakha and Starebeshevo; there are even reports of Ukrainian aircraft allegedly being spotted south-west of Donetsk (possibly disinformation from the Ukrainian side). However it is worth noting that so far no massive tank offensive has taken place—attacks by tactical battle groups of tanks of the mechanized brigade remain for now a privilege of the year 2014-2015. Here, the scale of the battles (notwithstanding the high intensity of fire) remains smaller. In addition, the situation in the direction of Mariupol is escalating, where the artillery of the 1st Army Corps [of the DPR –ed.] actively ‘kneaded’ the UAF positions in the Talakovka area (according to unconfirmed information, and from published photographs, there were successful strikes). With regard to the explosion of the bus in Debaltsevo, this was apparently an accident: a young fool was carrying a grenade in his school backpack, which detonated in the bus. He himself was killed and three classmates were injured. The bridge in the LPR, however, was blown up—the information was confirmed by the Ministry of Internal Affairs of the LPR. This was therefore sabotage to disrupt communications between Lugansk and Krasniy Luch, and between Krasniy Luch and Alchevsk. 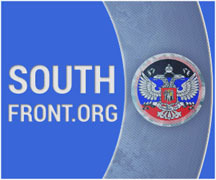 In general, while the situation has not yet escalated beyond the standard quarterly exacerbations, since the UAF holds the operational initiative (choosing the time and place of the next aggravation), then, under cover of the already familiar local actions associated with butting into the “gray zones”, they may well attempt to realize more ambitious goals, not necessarily around Gorlovka. This option has existed since 2015. The activity only ceases when losses rise to an unacceptable level. By all appearances, the General Staff of the UAF thus far considers the current losses around Gorlovka a price worth paying to maintain the current level of military action. If only this could be all wrapped up like S Ossetia or even Chechnya, but I know that it is far more complex and direct intervention by the RF, for instance, would probably provide just the pretext for full NATO participation, thus many thousands more killed than with current sporadic fighting, if not sparking World War and untold millions dead. Of course it’s practically certain that the Empire of Chaos, out of Washington DC, is orchestrating this just to try to ruin the World Cup. The psychopaths don’t care how many get killed – the more the better – on all sides, if they think that they can sabotage Russia and get “regime change” by toppling Vladimir Vladimirovich. They won’t succeed.